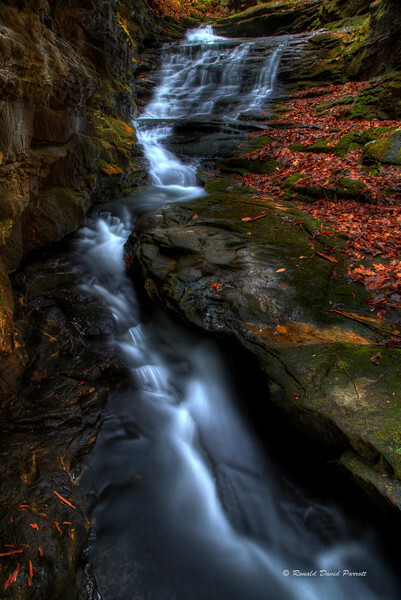 This is Marcus Cascade (Upper) in McCreary County, Kentucky. This swiftly moving water produces some delightful sights and sounds. This location is in between the locations shown in the following two photographs.